The new law restores the state Oil Conservation Division’s (OCD), authority to enforce the state’s environmentally protective oil and gas regulations, while also making improvements that encourage the conservation and reuse of water used in oil and gas production. OCD, which is a division of the New Mexico Energy, Minerals and Natural Resources Department, lost its ability to meaningfully enforce oil and gas related violations due to a 2009 New Mexico Supreme Court. According to a recent report, oil and gas-related spills and other violations increased nearly 100 percent in the decade since the ruling, while fines assessed by the agency dropped to zero last year. Hopefully, this bi-partisan commitment to ensure that the “Land of Enchantment” continues to enchant by safeguarding its amazing natural beauty and water resources will continue. In addition to Rue and Gould, the Republican senators who supported this common sense legislation included Senators Brandt, Griggs, Ingle, Moores, Payne, Pirtle, and Woods. 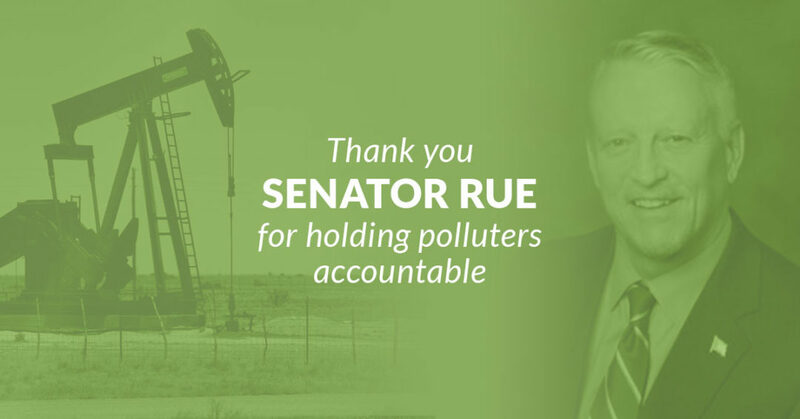 CRS is running thank you ads (see below) to underscore that effectively enforcing pollution laws and holding violators accountable is conservative. 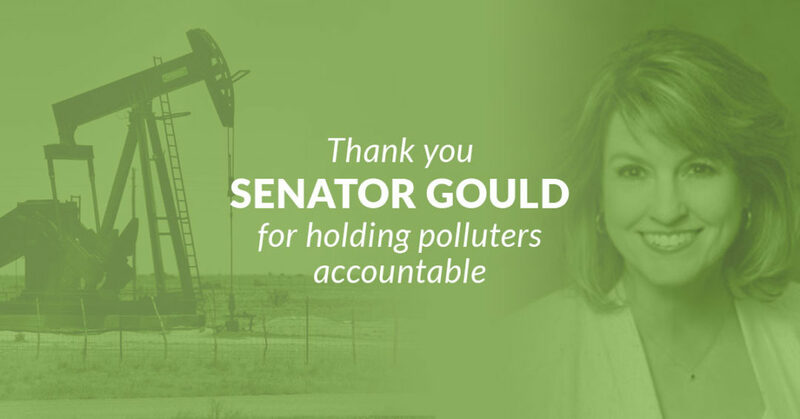 Thank you Senator Gould for supporting HB 546. Together we can grow our state’s oil industry responsibly. Thank you Senator Rue for supporting HB 546.